Inquire at nhjpak@gmail.com for access to the live AxShare Prototype. During my time at Hot Sauce, we were tasked with spearheading the main user experience design and redesign for Southern Company's initiative to overhaul their Online Customer Care service, or OCC. 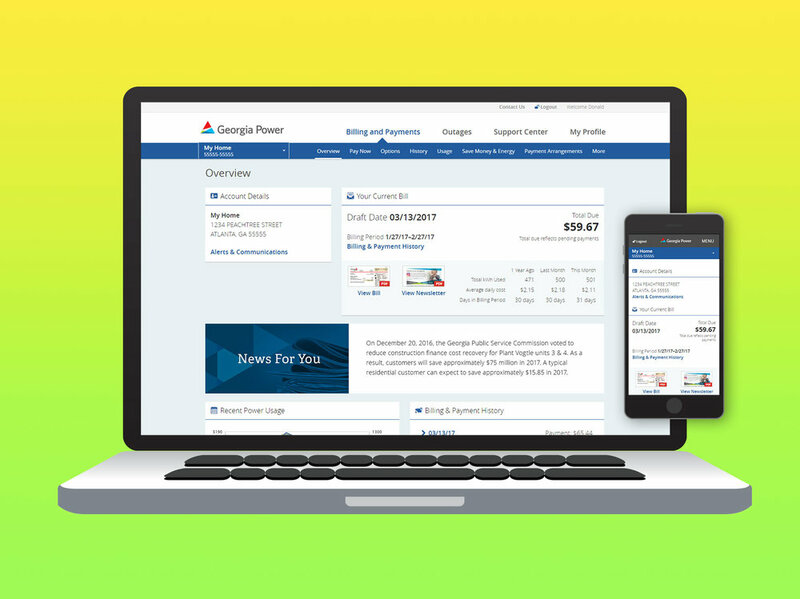 Pain points included the lack of responsive views, outdated design, and awkward integration of forms and features that were added later to the original site. My role in the project included doing the majority of interactive wireframes, assisting with design, presenting ideas to stakeholders, and creating the custom font used for the iconography for the new website. Challenges included gaining consensus on design decisions that satisfied a wide variety of departments and vendors, as well as establishing a consistent interface and visual hierarchy that fit a myriad of data and information. I used a dashboard like approach to my thinking, which satisfied the stakeholder's desire for more graphically engaging information as well as making the site work smoother on mobile. 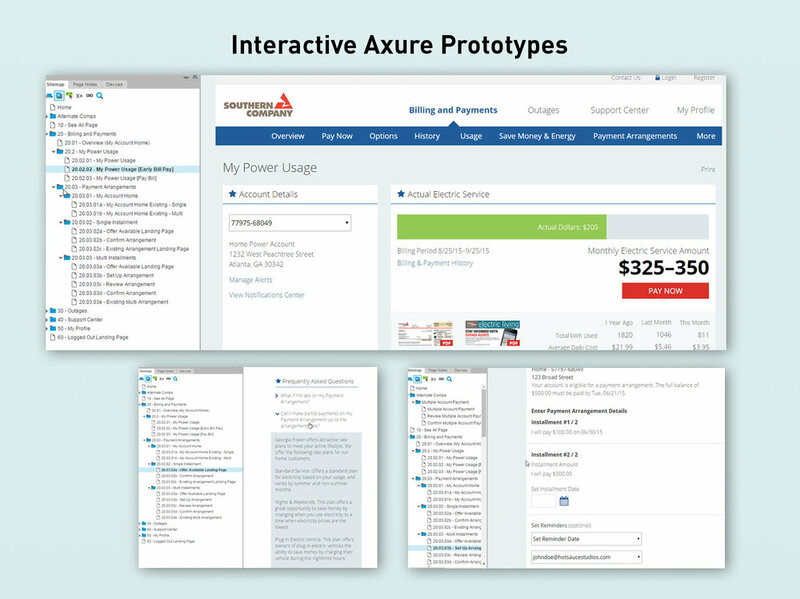 I made extensive use of the responsive wireframe capabilities of Axure to create interactive prototypes for testers and stakeholders to interact with and identify potential problems from their unique positions. Rapid prototyping and solutions allowed us to pivot whenever necessary, often times scrapping entire flows or concepts in order to accommodate a requirement that might have been missed or overlooked. This was a multi year process, and the final product is still currently under development and testing at Southern Company.